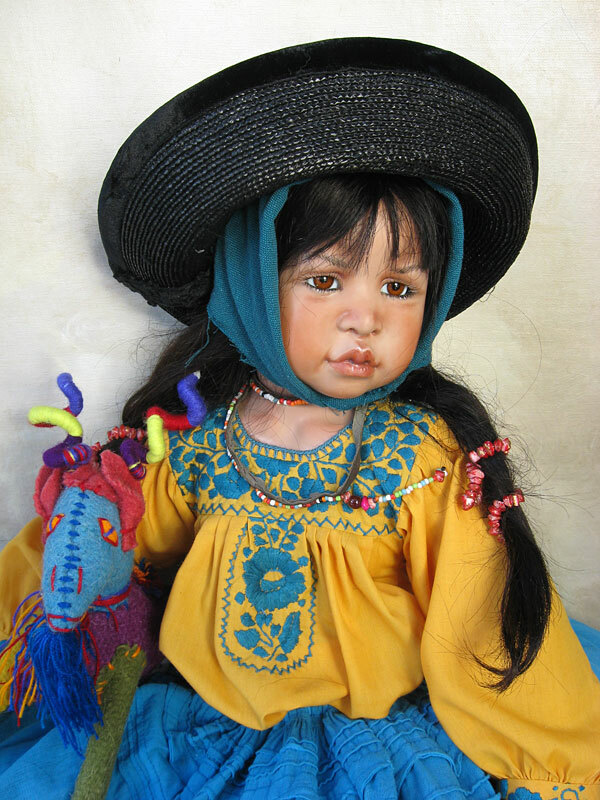 This beautiful Hispanic child wears an authentic costume of rich color, a great contrast to her shiny black hair and traditional black straw hat. 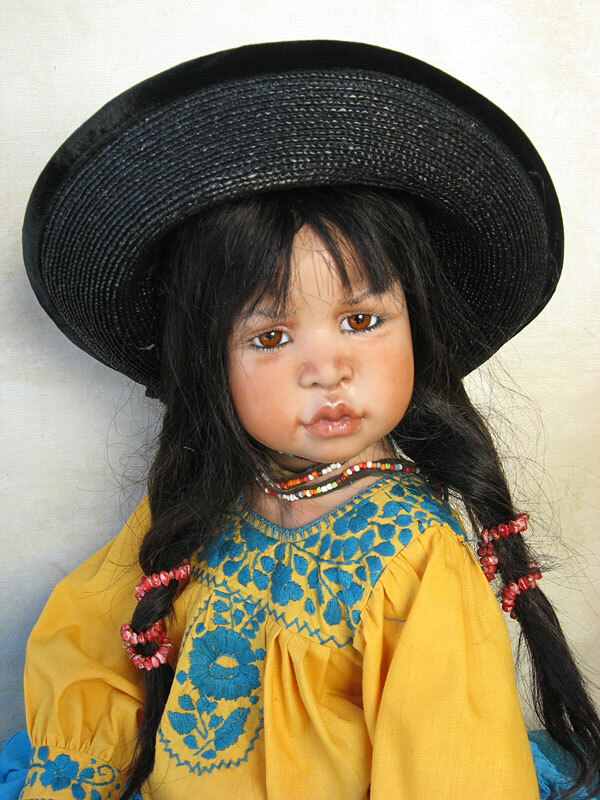 Her face is nicely framed to emphasize her beguiling expression. 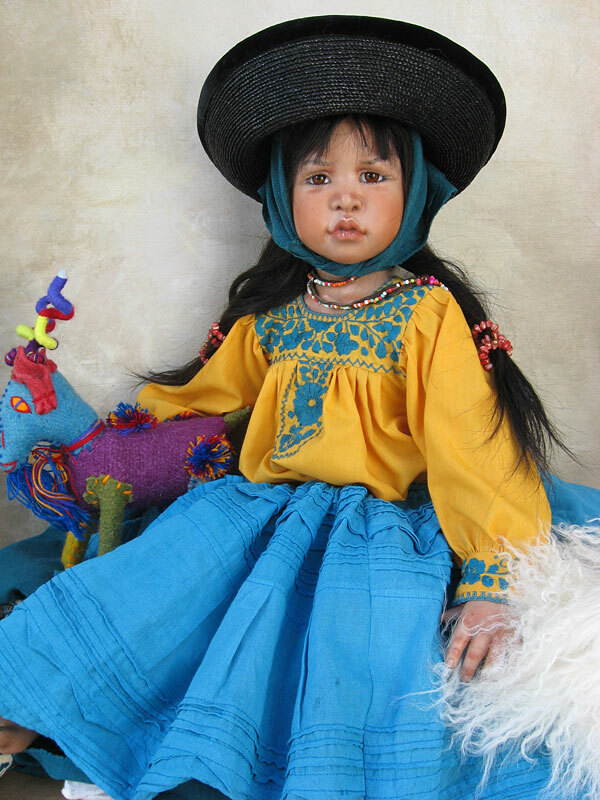 Katalina is sitting and holds a handmade, multi colored toy goat from Mexico.